You are here: Home / Search for "richard edelman"
EXCLUSIVE. This just in: The attorney for Fake Richard Edelman has contacted PRBlogNews to vehemently protest his client’s suspension from Strumpette due to alleged plagiarism. Fake Richard Edelman is charged with lifting the words of Joseph Goebbels for a speech in Davos. Fake Richard Edelman is accused of “a wholesale lifting of source materialâ€� from Joseph Goebbels, “Der Rundfunk als achte GroÃŸmacht.” by Martin Turnbull, Dean of the Communications College at the Kepler School of Management. “You have not heard the last of Fake Richard Edelman,” said Mr. Santangelo. The Edelman study confirms this view: most of those polled said they would not buy products and services from a company they distrusted and, conversely, would take their custom to one they trusted. Edelman Speaks Up … Say What??? Odd, isn’t it, that Edelman Worldwide blogs are called SpeakÂ Up when its prominent CEO blogger is absolutely mute about front-page news concerning his firms’ questionable antics in the blogosphere. In recent months Edelman has been buffeted by big storiesÂ aboutÂ murky blog manipulation on behalf of Wal-Mart (see New York Times Wal-Mart Enlists Bloggers In P.R. Campaign) and trying to buy favoritism from bloggers by giving them expensive laptops on behalf of Microsoft (see Online Media Daily). As a prominent blogger often on a soapbox for transparency in the industry you would think that Richard Edelman would relish addressing these high-profile issues. 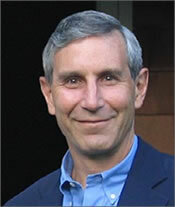 Richard Edelman started his blogÂ in September, 2004.Â At first it wasÂ a curiosity, he was the only major P.R. agency CEO blogging. After the first year or so it became clear that he was not content with idle musings – he wanted to challenge the industry to clean up its act, embrace new technology, and re-define the process of delivery of information through the Internet. Admirable but dangerous.Â He was taking a publicÂ advocacy position in an industry that is preternaturally secretive and slow to change. This could be a case study of the perils of setting yourself up as a public figure throughÂ a blog – sooner or later you are going to have to face unpleasant business. When you do: be forthright, acknowledge the problem, deal with it. That’s standard public relations practice. It was not that Edelman turned into a P.R. philosopher/activistÂ for the good of the people. He saw an opening in the industry – to lead the charge in digital P.R. – and he seized it. It wasÂ smart business. But once you set yourself up as the lightning rod you’re going to get zapped -Â proved by the Microsoft & Wal-Mart imbroglios. The question is – when does Richard Edelman get off the soapbox and into the sandbox and enter the real conversation? (full disclosure – I worked for Edelman Worldwide briefly in 1999). PRBlogNews (PRBN): What would be a 140 character or less â€˜on messageâ€™ Twitter from Mosesâ€™ spokesperson? PRBN: If Iago worked for Edelman in NY, what group would you put him in? PRBN:Â I had go-go dancers at my Bar Mitzvah in Brooklyn. Can you top that? PRBN: If the name of the firm was not Edelman, what would it be? PRBN: If you could click your heels twice and be anywhere, where would it be?